Fresh content is important when it comes to SEO, but there is value in updating old content, as well. Last month, Google announced that it’s rolling out Panda 4.2 over the next couple of months. It’s the first refresh in almost 10 months of the now-infamous algorithm update that’s partially responsible for the “content is king” mantra that’s swept the search industry. That’s great news for anyone who was hit last September and has worked to remedy their low-quality content; your hard work should be rewarded as your site slips back into its organic positions. But with every update, it undoubtedly puts some webmasters in a tailspin thinking they’ll be on the losing side of things. Every time a Panda refresh is announced and the biggest losers are tallied, I can’t help but wonder how it’s even possible there are sites out there still putting out crappy content. Maybe it’s my journalism background, but I’ve always felt that creating irrelevant, spammy content just for the sake of a link or a ranking was never an option; there was just no point. However, given all the stir Panda updates have caused, it seems I am in the minority on that stance. Is Your Site As Panda-Proof As You Think? But spammy, keyword-stuffed and low-quality content is not the only reason why webmasters and content strategists get a little antsy around Panda updates. Even if you know you have good content, it makes you pause and question all the content on your site: What did I miss? What will Google find on my site? And while you should be evaluating your site’s content regularly, I know I’m not alone in admitting that it doesn’t always happen. Guilty. One of the common issues you find during a content audit is “dead” content. Dead content is old or outdated content that at one point was useful to your user but may not be helpful any more. Depending on how much content you have, it could also be slowing down your site, causing Google to crawl and index these less important pages rather than focusing on your more important pieces. It happens a lot: You focus so much on creating new content that you forget about the content you created a year (or longer) ago. And it happens quickly; blog posts or articles get moved off the home page, tweets stop going out, links stop coming in. So what do you do with this dead content? New content is necessary, but it takes far more time to create something new than it does to update and optimize something old. That old content is probably still ranking well, but it’s outdated — technology has changed, new information has been presented, or there’s a better way to accomplish the same task. Don’t Create A New URL. Many would create an entirely new page to replace the outdated content to get more pages added to the index. That works, but I’d prefer to update the existing content to keep all the authority in one place. That URL ranks well for a reason. Why create a new page and start all over? You also eliminate competing with yourself by keeping all updates on one URL. Update Your Keyword Research. When you optimize, consider any new keywords that you could incorporate to capture net new traffic. The way people search changes every day, so it’s likely they’re searching new keywords but wanting the same information. Optimize Your Call To Action. Since you’re updating your content to be better for your users and perform better in search engines, make sure to think through what you want people to do after they’ve read your blog post (or ebook, services page, how-to guide, or whatever form your content takes). Do you have a new offer? Do you have a newly implemented email database users can sign up for? New product or service to promote? The key is figuring out how to turn that passive reader into an active member in your lead funnel. Start Promoting It Again. Once that content is more relevant, filter it back into your promotion schedule: Create a Facebook post, push it out through Twitter, and include it in your next email campaign. If it’s an important enough post — e.g., it hits on a current trending topic or is an exhaustive resource guide — even consider giving it some placement on your home page or other areas of your site. 301 Redirect. In most cases, a 301 redirect is going to be your best choice for content that needs to be deleted. Point old products or services to their newer counterpart; drive people to your careers page if a specific job is no longer available; choose the blog post that has the most page views or better rankings and redirect the duplicate to it. Custom Messaging. You don’t want to go too crazy on the directs, though — every redirect puts more load on your servers, thus slowing down your site, and that will add up. In some instances, you can simply add some custom messaging and related links to other places users could go if they land on your old content. For example: “This position is currently filled, but check out our Careers page for more openings.” This works particularly well with temporarily out-of-stock products. Don’t delete the URL if the product will become available again in the future, but show comparable items to help fill the user experience. 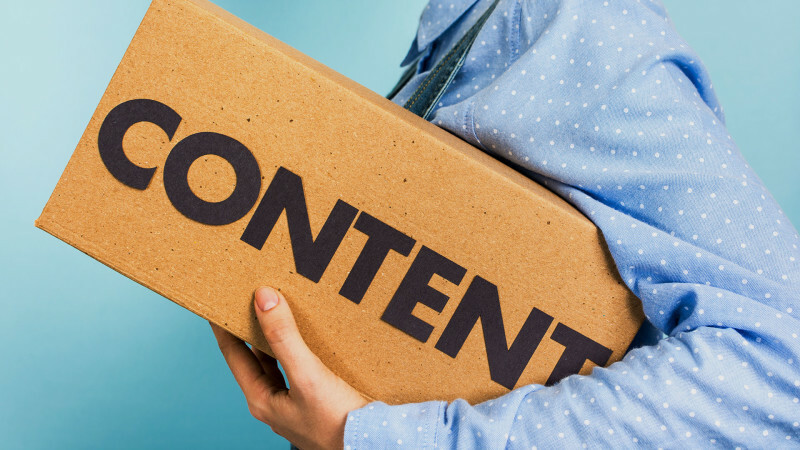 There’s a lot you can do to make sure your old content is still working for you, but remember not to forgo creating new content to update your old content. You need a healthy mix of both tactics to continually provide the best experience for your users and to keep your content fresh for search engines.